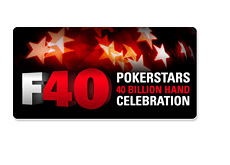 The 40 billionth hand in the history of Pokerstars was dealt about an hour ago, with "Senecady" from Stockholm, Sweden walking away as the big winner of the "F40" promotion. 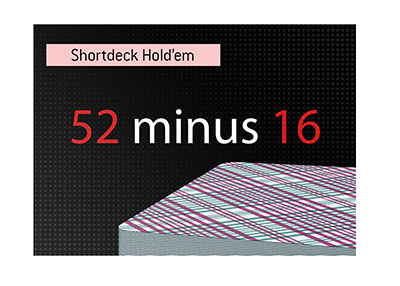 The big hand was dealt on a $2/$4 No Limit Hold'em table (Naef III). 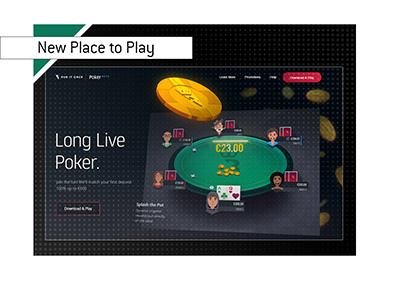 According to Pokerstars, there were a total of 280,000 players on the site when the 40 billionth hand was dealt, with a total of 41,000 tables in play. Joe Hahn said, "oh great, I just sat.. lol"
Joe Hahn said, "heh thanks"
thecooler992 said, "b quiet sir"
Joe Hahn said, "lol, hmm, ok!" I guess that "jeckjeck", "zawaaa" and "13_Xerxes_13" didn't realize what was going on, as all three made the unfortunate decision to fold their hands. Each player who was sitting at Naef III when the hand was dealt was given $400 for each VPP that they had earned at the table over the last 40 hands. The winner of the hand, which ended up being "Senecady", received double that amount (which worked out to be $24,000). The F40 festivities continue this weekend with the Sunday Million $4,000,000 guaranteed and $40 Micro Million $1,000,000 guaranteed tournaments.